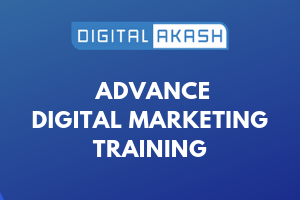 Digital Akash has the 7+ years of experience in the Digital Marketing, SEO and Web Development Team field and have worked in Apponix Technologies, Gsearch Network Pvt Ltd, ISKCON Society, SSG Info Solutions and Sharanya Technologies companies. well as knows the methods and the trending tools and techniques which are been used. Search Engine Optimization (SEO) tools and its techniques. Social Media Marketing (SMM) tools and its techniques. Search Engine Marketing (SEM) tools and its techniques. Social Media Optimization (SMO) tools and its techniques. Email Marketing, tools and its techniques. Online Reputation Management(ORM), tools and its techniques. Affiliate Marketing, tools and its techniques.